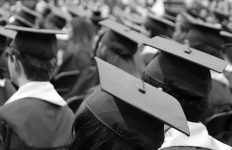 Stephen Bounds, author of the syllabus, provides some history to contextualise how we arrived at the syllabus, and invites your feedback as we move to the next steps. 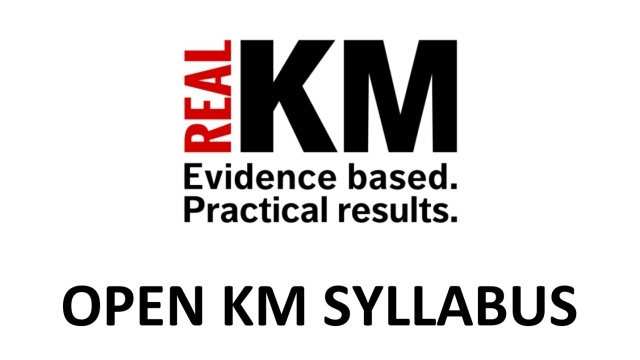 The RealKM Open KM Syllabus is a new initiative which attempts to systematically describe the themes and topics required for a fully-rounded education in knowledge management (KM) theory and practice. Let me provide you with some history to contextualise how we arrived at the RealKM Open KM Syllabus, and invite your feedback as we move to the next steps. I have been actively involved in KM since around 2005. 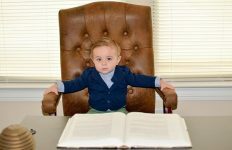 After getting my Masters in KM from the University of Canberra, I worked a range of jobs in information management (IM) and KM in the Australian Public Service until striking out on my own in 2013 with my own IM/KM consulting company, KnowQuestion. Since beginning my learning journey with KM, I have asked many silly and not so silly questions. I have gradually formed a firm personal view on the need to place systems complexity at the core of KM. However, I have been acutely aware that little KM research has rigorously sought to answer questions about what implications this has in practice. Indeed, I have been consistently frustrated at the poor quality of the vast majority of KM research. In an attempt to provide a more rigorous and rounded view of KM theory, and to promote those people doing high quality work, I used KnowQuestion to fund RealKM. 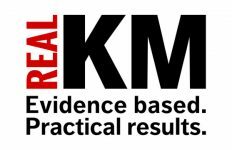 RealKM Magazine is a specialist KM news website that promotes evidence-based articles about how knowledge, people, and systems work. After putting out a call for contributors, Bruce Boyes joined the RealKM team. It rapidly became clear that his background and passion for KM and writing made him an ideal choice to be editor. He has been a rock ever since, and has kept the RealKM site ticking over despite many work and family distractions at my end. Shortly after setting up RealKM, Andre Saito posted in the SIKM Leaders online KM community about his 2007 PhD on educating knowledge managers, which we subsequently serialised in RealKM Magazine. Although the Open KM syllabus has been through many revisions and at this stage bears little direct resemblance to his work, Saito’s proposed list of KM competencies is undoubtedly the invaluable germ that started this process off. The second part of the puzzle for building the syllabus came from the creation of RealKM Connect, a professional development forum spin-off of RealKM based in Melbourne. Again, my desire was to promote evidence-based learning, and it triggered the critical question: What would I want to teach someone else if they were starting in KM fresh today? From this I developed my personal set of themes and topics, with the plan of running a seminar on a different theme and topic every month. The third part of the puzzle came from Bruce’s work with educational KM courses in China. As Saito back noted in 2007, most tertiary KM courses have chosen to teach a fairly narrow range of KM topics, and the problem has exacerbated over time. My Masters was comparatively broad in that it taught both information and human perspectives on KM courses. Most contemporary KM courses specialise almost exclusively in one of HR, IM, or computing based KM. A truly holistic approach to KM is rare. At this point, it made too much sense to make the theme and topic list as comprehensive as possible and to make it broadly available. Our thinking was that making a syllabus public could only encourage standardisation in any approach to teaching and learning about KM. 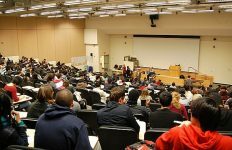 (of course) critiques on the structure and content of the syllabus itself. The next step is likely to be to convert this syllabus into a wiki so that each topic can be fleshed out with detailed reference material and to enable collaboration and planning on further improvements. Time is my enemy but I hope to have this up and running by the end of the month. Feel free to leave your comments below, and I’m very happy to answer any questions. Sounds exciting. I agree that the availability of research into KM is fairly woeful and makes it a challenge to demonstrate the impact a holistic KM strategy can have on an organisation’s momentum in real economic terms. I’ve bookmarked to come back and read through the syllabus tomorrow. I think it’s a great idea, although the question I continue to grapple with in my area is whether anyone actually cares about KM. I’ve been collecting the literature around KM and sustainability (and related topics) for a while, and have pulled together quite a bit of source material (collected here if you’re interested: https://webbrain.com/u/1Aqt ). But in the sustainability and climate change space in general it’s just not clear who values the information. Everyone has their own proposal or solution, with very little interest in understanding everything else out there that ought to be relevant. Bottom line is that the syllabus would benefit from a section of the KM Value Proposition, or range of value propositions.